One of the defense counsels in the ongoing Commissions of Inquiry, Lawyer Ady Macaulay, has on the first hearing taken a jurisdictional objection to the Commission on the basis that the rules of practice as provided for in Section 150 of the 1991 Constitution of Sierra Leone had not been followed, but Justice Biobele Georgewill was quick to correct him on the procedure he was supposed to use before the commission. Lawyer Macauley, who represented the former Chief Executive Officer of the National Ebola Response Centre, Palo Conteh and Madina S. Rahman, erstwhile deputy minister of Health, told Commissioner Justice Biobele Georgewill from Nigeria that his clients would not subject themselves to the jurisdiction of the commission. He submitted that one of the persons of interest, Alfred Palo Conteh was a party to an action filed in the Supreme Court of Sierra Leone in which one of the issues was to determine whether or not the Commissions of Inquiry would continue with the proceedings without complying with Section 150 of the Constitution of Sierra Leone. Lawyer Macaulay further invoked Section 124 (2) of the 1991 Constitution of Sierra Leone which says “Where any question relating to any matter or question as is referred to in subsection 1 arises in proceedings in any court, other than the Supreme Court, that court shall stay the proceeding and refer the question of law involved to the Supreme Court for determination; and the court in which the question arose shall dispose of the case in accordance with the decision of the Supreme Court. He submitted that his clients were very much respectful to the inquiry and ready to subject themselves to its jurisdiction, but could not because the Instruments that established the COI did not comply with Section 150 of the 1991 Constitution of Sierra Leone. When quizzed as to which rules or procedures he was relying on in taking a jurisdictional objection, he responded that there were no rules as the Rules of Court Committee, as provided for in Section 150 of the Constitution was not followed. But Justice Biobele Georgewill noted that since lawyer Macaulay did not put forward any rules during his submission, until they go to the Supreme Court and set it aside, they must be bound to the rules set aside by the Commission until the Supreme Court says otherwise. Whilst replying to the question as to why he did not file papers before taking the objection, lawyer Macauley responded that his clients were only informed of their appearance before the COI on Saturday night, through radio and social media, which, he said prevented him not to file the necessary papers. At that juncture, the Commissioner urged O.V Robin Mason, who represented the state, to make sure all persons of interest are given fair trial by serving on them the necessary papers that will enable them prepare their case. Responding to Macaulay’s submission, lawyer Mason admitted that he did not served any papers relating to the issues that were raised by lawyer Macaulay. He argued that the rule of natural justice demands that a tribunal cannot determine issues that are relative to itself and that the authority and jurisdiction of the Commission has been established and confirmed by parliament. Judge Biobele in the end advised both parties to ‘keep their gun powder dry’ as a time would come when those needs would arise. 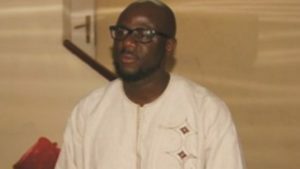 But Lawyer Macaulay pleaded to hand in his case next Thursday to the Commission, which Judge Biobele accepted. The judge also admonished both the prosecution and the defense lawyers to make a written submission in the interest of progress.